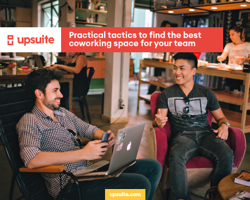 Whether you have a small team of 2-3 people or an entire department, careful consideration needs to be given to your coworking decision and we hope you’ll download this eBook and use the information to help you make the right choices. Ready to get started? Simply fill out the form to download the eBook.